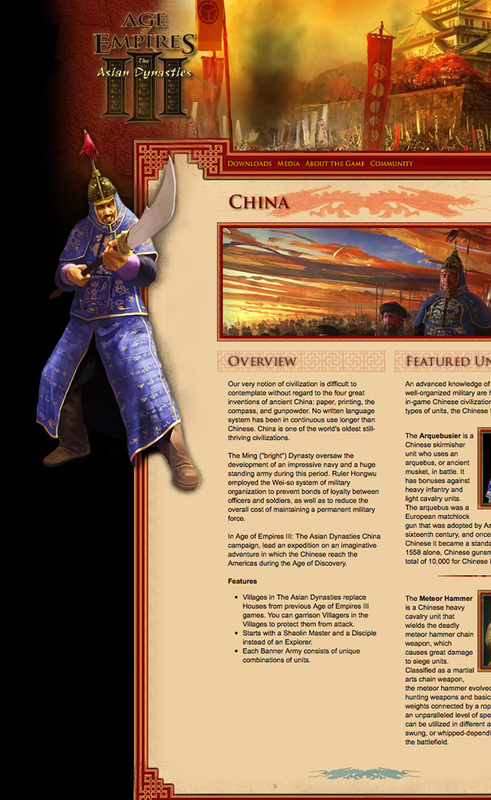 For Microsoft Games� marketing site for Age of Empires 3: Asian Dynasties, the client wanted a compelling interactive experience that captures the unique flavor of the game. 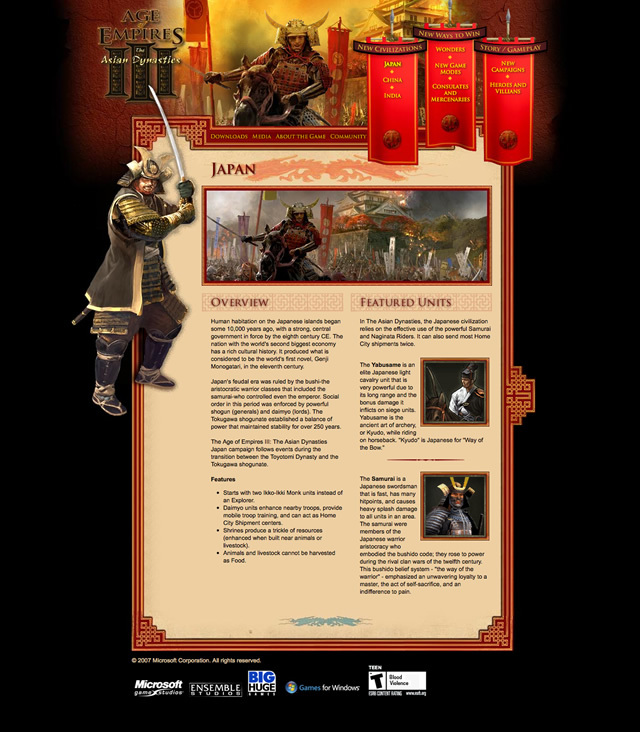 Using both Flash and HTML, we produced a site that uses the colors and motifs of the East along with concept graphics from the game before release. 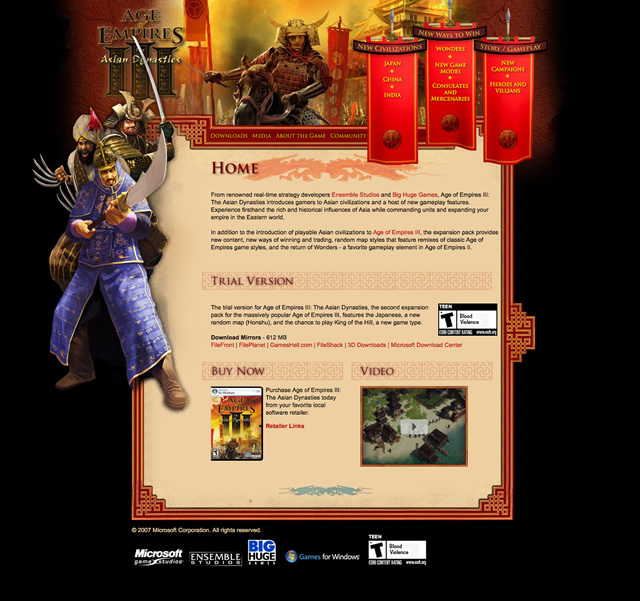 The site introduces the game�s unique look and feel and characters within a striking online experience.